For many of us, the notion of ‘voodoo’ elicits little more than a vague association with dark magic, or perhaps an impromptu chorus of David Bowie’s Dance Magic, from Labyrinth. You know, the ‘What power? Power of voodoo. Who do? 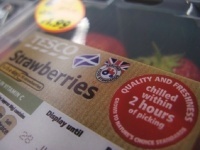 You do’ one. However, for the people of Haiti, voodoo – or ‘Vodou’ – is a spiritual belief system followed by an estimated 90 per cent of people living in the country. Vodou’s roots lie in West African religions, Catholicism (most Vodou gods are linked to Catholic saints), Islam, European folklore and freemasonry, as well as the religion of the island’s Taino people, who were almost wiped out by the first Spanish settlers. Kafou at Nottingham Contemporary, flags in Gallery 4. This heady mix has meant that the artefacts and art forms created alongside the Vodou beliefs have evolved into a dazzling, beautiful and powerful body of works. 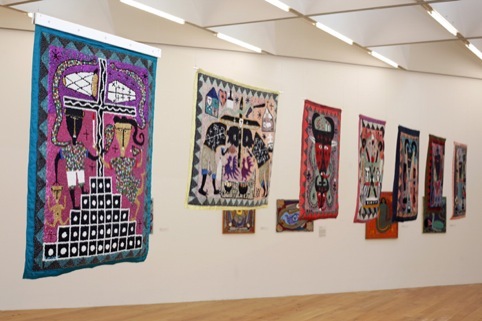 Celebrating the art of Vodou and Haiti is a new exhibition at Nottingham Contemporary that opened at the weekend, Kafou Haiti, Art and Vodou, curated by Alex Farquharson and Leah Gordon. Kafou at Nottingham Contemporary, sculptures by Pierrot Barra, Gallery 3. 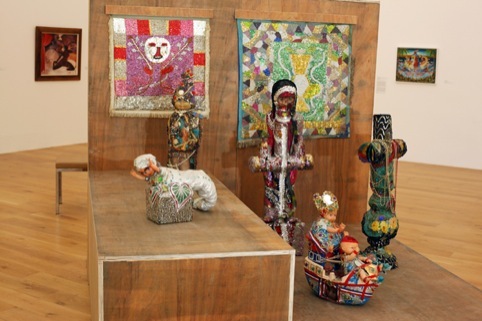 The Kafou of the show’s title translates as ‘crossroads’ in Haitian Creole, and highlights the importance of crossroads in Vodou as ‘the place where the world of the living and the world of the spirits meet’, according to the gallery. 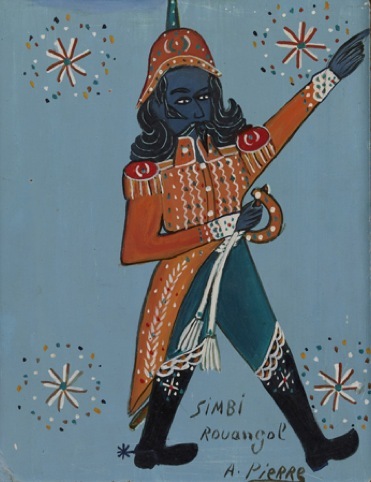 The exhibition features around 200 paintings, sculptures and sequin flags by 35 Haitian artists from the 1940s to the present day including the brilliantly-monikered Hector Hyppolite, Philomé Obin, Rigaud Benoit and Préfète Duffaut. 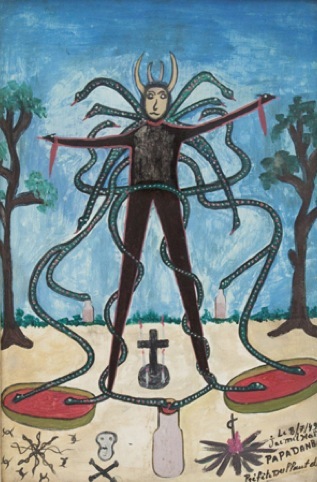 The works show a breathtakingly unusual and distinctive aesthetic, developed to capture and impart the rituals and atmosphere of Vodou. 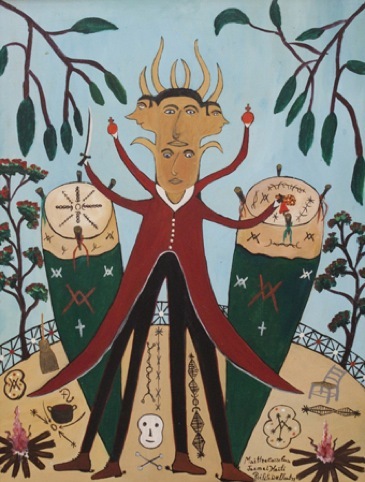 While it’s by no means the be all and end all, death is undoubtedly a focus, with much of the output depicting the Vodou’s host of spirits who interact with everyday life, though death is treated with a humourous irreverence. 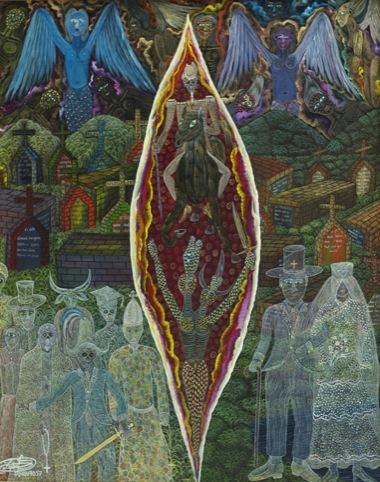 Due to the works’ idiosyncratic appearance, fascinating history and cultural substance, it’s little surprise that the Surrealist art movement took such delight in Vodou in Haitian art, appropriating the collective beliefs and consciousness of Vodou followers for their own depictions of individuals’ subconscious. 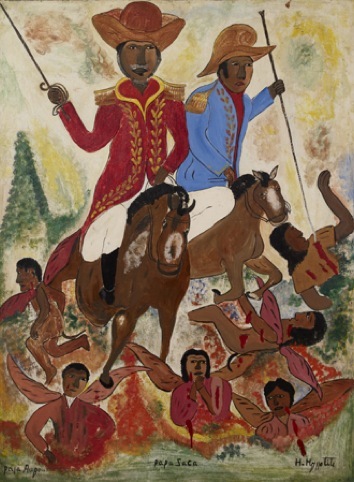 Among the Surrealist artists to have declared their admiration of Haitian art are André Breton, Maya Deren and Wilfredo Lam. Hector Hyppolite, Papa Zaca Papa Ogoun, c.1947. While much of the art evokes ideas of a mysterious past – an otherworldy belief system that looks as much like a beguiling collection of supernatural curios as religious entities – the curators are keen to point out that far more recent events on the island are represented. Haiti’s certainly had a turbulent history – from the fall of the Duvalier in 1986, to widespread poverty, to the catastrophic earthquake of 2010, and much of the work reflects on such situations.